Your favorite team might be out of the playoff picture but that does not mean that you should lose hope for your franchises' future. Sports Illustrated presents silver linings for every eliminated team. This is all a long preamble to say that the Suns are pretty bereft of silver linings at the moment. They haven’t crossed 30 wins in four-straight years, representing one of the league’s worst ownership and management situations. Yet amid the current chaos, Phoenix now has nothing but time. Booker is 22. Deandre Ayton is 20. The Suns will likely get a top three draft pick, slotting one of Williamson, Ja Morant or R.J. Barrett into their young core. Booker and Ayton have shown offensive promise, if not winning ways. Add another quality young piece, and the Suns can quietly grow in the desert, perhaps gunning for the eight seed in 2020-21. Even with diminished expectations, Cleveland fans still hoped to see some improvement before the season ended. Their patience has been rewarded over the last month. Sexton is averaging 22.3 points since March 1, making 47% of attempts from three. He ripped off eight-straight 20-plus point efforts before Sunday’s loss to the Bucks, leading the Cavs to wins over Orlando, Toronto, Detroit and Milwaukee. Sexton looks more comfortable navigating the pick-and-roll, increasingly bursting to the tin instead of settling for free-throw-line jumpers. His percentages should jump in year two as Cleveland navigates a post-LeBron future. Zach LaVine attended the Andrew Wiggins School of Wings for much of his career, missing long-two’s and ignoring teammates at every turn. But the UCLA product has made a turn for the better in recent months. LaVine is attacking the rim with abandon, pushing past the mediocre midranges into efficient drives. His free-throw rate and field goal percentage is up since February 1, and he led Chicago to a double-digit win over the Celtics with 42 points in late February. LaVine previously looked incompatible with a winning team. His game has evolved since the New Year, though, and he’s now a more malleable wing next to the Bulls’ precocious frontcourt. Similar to Sexton, Trae Young couldn’t hit the broad side of a barn in his first half of the season. The Oklahoma product shot just 27.5% from three, worrying some that his summer-league issues would continue through the rest of his rookie season. Those concerns dissipated once the calendar turned to 2019. Young paired his elite playmaking with a 40.4% mark from three since Feb. 1, closing the gap on Luka Doncic on the ROY race. 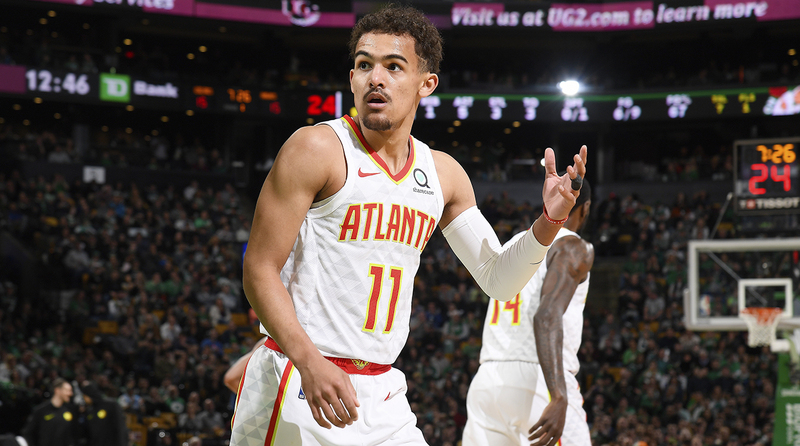 Hawks GM Travis Schlenk will likely be questioned over the Young-Doncic trade for the next decade-plus. Though if Atlanta can land a quality piece with their additional draft pick, the deal should end up as a winner for both franchises. 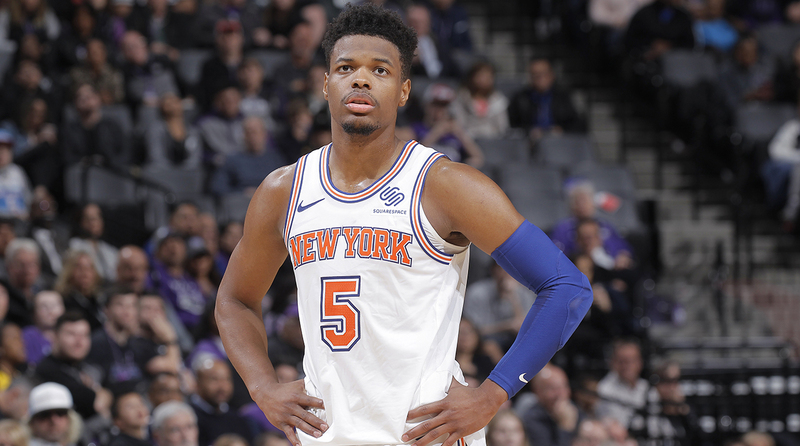 Dallas continued its accelerated rebuild in February, swiping Kristaps Porzingis from the Knicks in exchange for Dennis Smith and salary cap relief. The Mavericks went from zero franchise players to two in the span of nine months, positioning themselves for a return to Western Conference prominence in the 2020s. John Wall is out until at least midway through next season. Otto Porter was dealt as luxury tax dump. The Dwight Howard era has been more non-existent than disastrous, and Washington's roster is currently composed of Bradley Beal and a bunch of afterthoughts. Beal is in the midst of an All-NBA-caliber season, though even that honor will cost the Wizards in their next contract talks. The future is bleak. The Anthony Davis era has effectively ended in New Orleans, bringing an uncertain future after seven seasons with its post-Chris Paul star. Who will be the next face of the franchise? 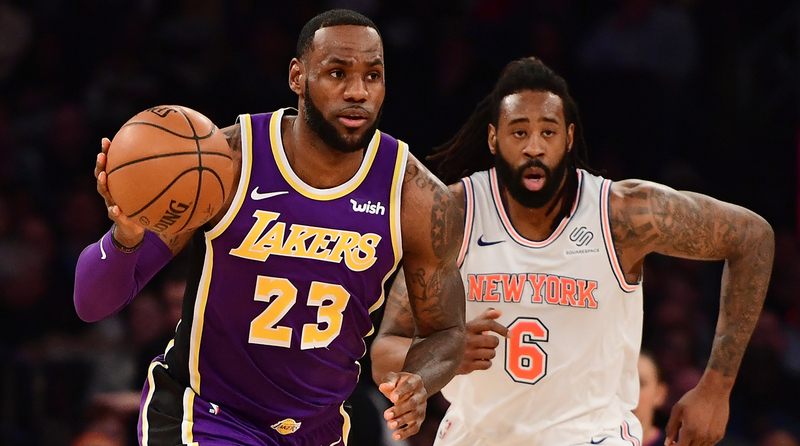 It could temporarily be Julius Randle or Jrue Holiday, but long-term, the player in question is probably on another roster. Jayson Tatum could lead the new era along with Jaylen Brown, as could Brandon Ingram and Kyle Kuzma. Maybe the Knicks deal a top-three pick for AD. The Bulls could potentially do the same, though sending a valuable package for a potential rental is a gamble. Regardless of the suitor, New Orleans should gain a haul of young talent in exchange for Davis, moving forward after the saga that consumed the trade deadline. Towns’ dominance over the last two months should keep Timberwolves fans’ spirits afloat as they lament the disastrous Wiggins contract. Minnesota’s franchise cornerstone is averaging 30.2 points and 13.6 rebounds in 19 games since Feb. 1, and he’s shooting 51% from three on over five attempts per game. Towns is eating opposing centers’ lunches, unleashing the mammoth potential that made him the No. 1 overall pick in the 2015 draft. He’ll likely settle for third-team All-NBA in 2018-19, aiming to leapfrog Nikola Jokic and Joel Embiid next season. It’s a good thing Walker is open to sticking in Charlotte, because the surrounding roster is a below-average unit. Jeremy Lamb may be the Hornets second-best player, and game-winners aside, that’s a pretty startling indictment. The Hornets are presently in the lottery and littered with bad contracts—anyone want Bismack Biyombo for $17 million? – with no clear path toward contention in the East. At least the promise of Walker’s return will soften the blow on a disappointing 2018-19. Orlando’s roster is bit of a jumbled mess right now, with a surplus of frontcourt contributors and a lacking backcourt (all due respect to Texas legend D.J. Augustin). The Magic’s playoff chances could decrease next year if Nikola Vucevic bolts in free agency. Yet despite the roster concerns, Orlando should still squeeze the most out of its talent thanks to veteran head coach Steve Clifford. The Magic cycled through James Borrego, Jacque Vaughn, Scott Skiles and Frank Vogel from 2014-18. Clifford has brought stability to Orlando, breeding its young roster as he did in Charlotte from 2013-18. In a weakened East, perhaps Clifford’s experience can carry the Magic back to the postseason in 2020.